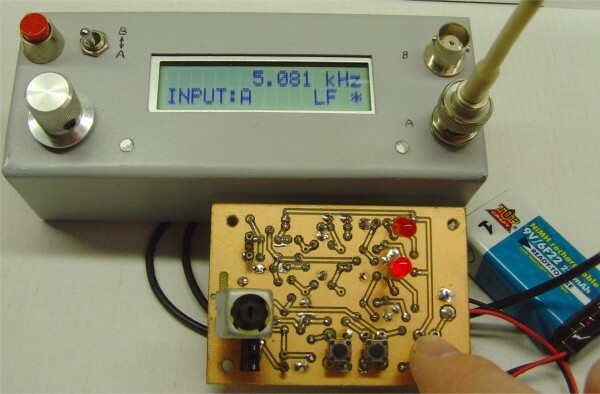 In the first part diagram this is a very handy tester for normal HC49 crystals, but it has also been expanded to test 32.678KHz clockwork crystals. The latter are not so easy to test with a normal crystal tester. In the 2nd part there is a tester for the well-known TOKO coils in metal housing. 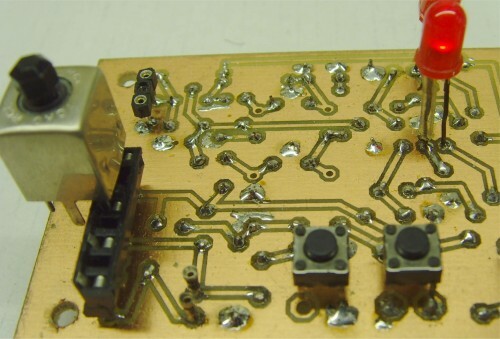 The crystals and coils are tested in an active oscillator circuit. You can also measure in which frequency range your crystals and coils are usable. 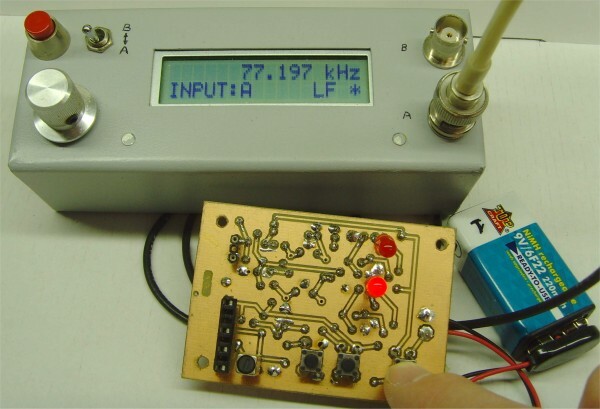 The special feature of this design is not in the testers' scheme, but in the way it is measured, and the practical embodiment of how the coil are incorporated in the oscillator circuit. It is known that coils in a metal housing with e.g. a DIP meter can not be measured. 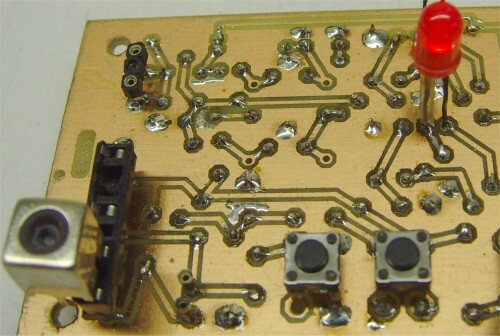 The inclusion of the coil in an oscillator circuit is then usually necessary. The different types of pins and shapes do not make it easy to realize this, so a practical solution has been worked out for this. 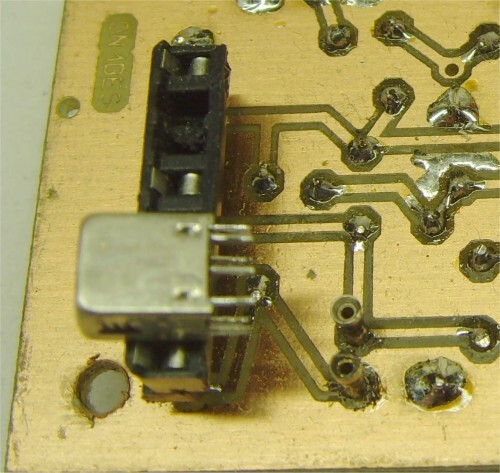 Half an IC socket is "converted" to insert the incompatible pin stitch of the Toko coils. A simple indication with a LED is provided: when the LED is on, there is oscillation, and there is actually a coil or a crystal present. Also the frequency can then be measured. Click right and choose "View image"
In the first part diagram, you will see a special crystal test circuit (Pierce oscillator). This is quite classical in structure, but has been adapted to also be able to test clock crystals on X1. 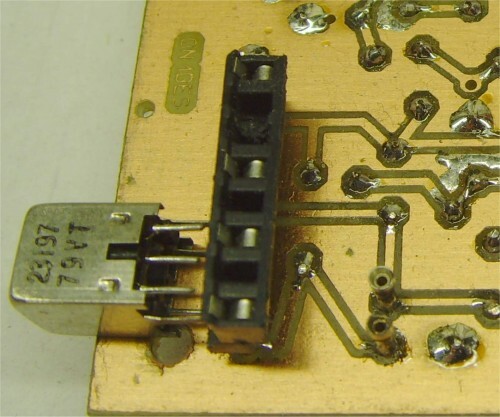 These must be connected in a high-ohmic manner, so that a special adjustment to the scheme is required to start a 32,768 crystal. The peculiarity is that these crystals start only after a certain time, usually after 3 to 6 seconds, or more. 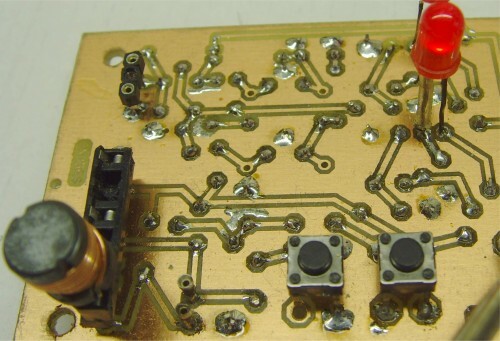 Make sure that the parts of the diagram are used exactly, otherwise the crystal oscillator will not start. To be able to test ordinary crystals a diversion is made to avoid the high-impedance part on X2. 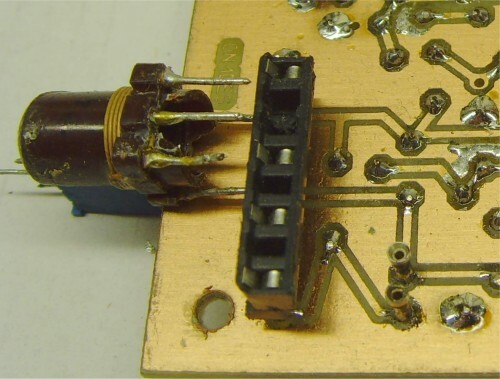 Crystals from 1MHz to 40MHz (on ground frequency) can be connected. 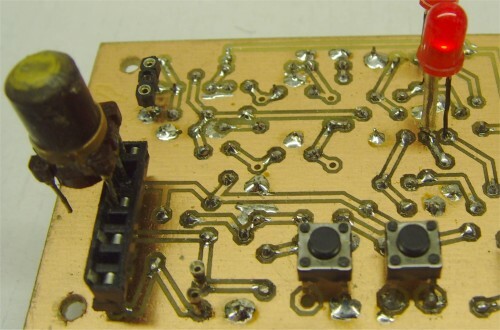 In order to be able to measure the frequency, a FET buffer circuit with measuring output is provided, which is not allowed to load the crystal. The oscillator voltage is tapped and doubled. The resulting DC voltage is then buffered and made visible with a LED. 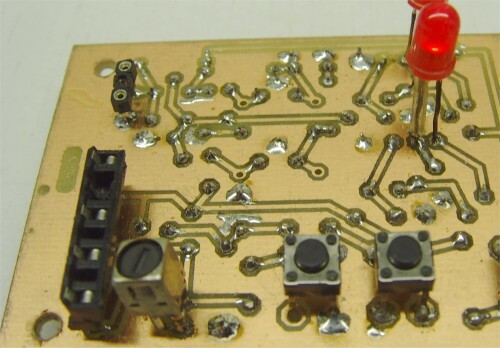 The threshold voltage of the Schottky diodes is only 0.25 Volt, so that if there is little signal, the oscillator circuit can be detected. You can already see from the brightness of the LED whether the crystal oscillates well or on the edge. In order to be able to put-in a crystal, a piece of IC-foot with twisted legs has been used for both types. 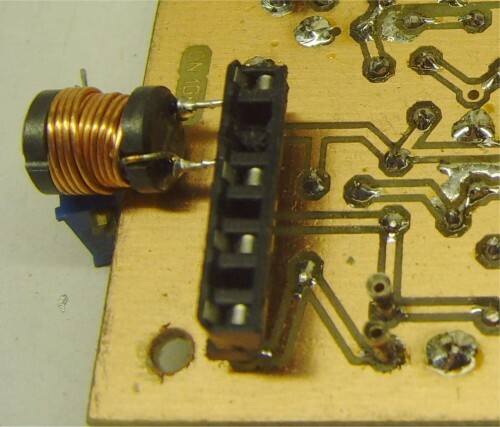 These windings are usually too small to start an oscillation. 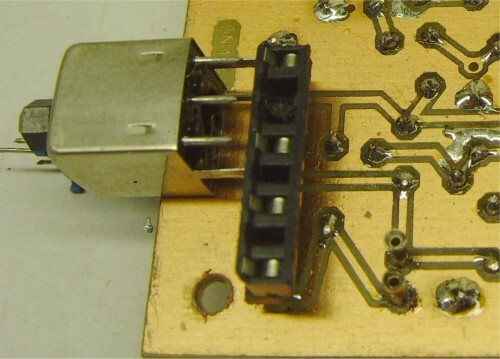 First measure with an ohm meter whether there is a winding present between 2 pins. In the 2nd part diagram you see the coil tester with as few parts as possible in its oscillator circuit, to make it oscillate as pure as possible on the coil. This gives a better indication to see at what frequency the coil is usable. The oscillator voltage is tapped and doubled. The resulting DC voltage is then buffered and visualized with an LED. The threshold voltage of the Schottky diodes is only 0.25 Volt, so that if the signal is low, you see if the oscillator circuit works. 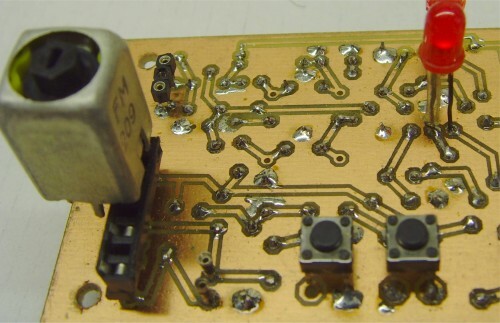 From the brightness of the LED , one can already see if the oscillator frequency of the coil is of good quality. With the help of 2 extra push buttons, you can switch-on a extra C by C1 or C2 to improve oscillation. 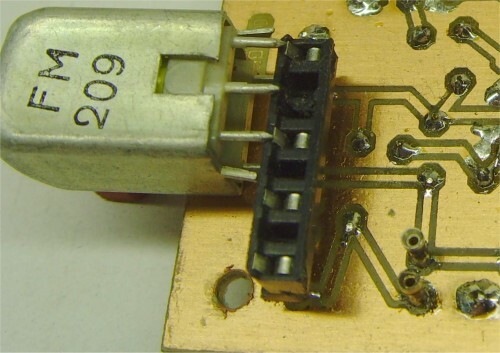 In order to be able to puncture the coil, a piece of modified IC socket with oblique contacts was used, or in my new version a modified female PIN header connector. Note 1: the measured frequency can be used to determine whether a Toko is suitable for a mid-frequency 455kHz or 10.7MHz or another MF. Of course, the frequency will deviate a little, if the Toko core is twisted more or less. Note 2: this Toko tester will work (oscillate) in 95% of the cases, if measured between the extreme pins 1-3 or pins 4-6. Most windings between pin 1-2 and pin 2-3 are usually too small to achieve an oscillation. Always measure between the outer pins of a Toko bobbin. Above you can always see the coil foot type - underneath is the coil in measurement - The photos are from an older test print. A somewhat older DFD4 frequency meter has been used here. The print on the photo is still an older version . Circuit boards, Printing mask, layouts, schematic.